Clifton Mitchell Ph.D., is an international clinical trainer and keynote speaker who has a love for teaching and over 23 years of training experience. He delivers practical information in a uniquely entertaining, fast-paced style that is filled with humor and examples from his experience in mental health. For over 15 years, he has studied and presented seminars on methods for dealing with resistance in therapy. In his book, Effective Techniques for Dealing with Highly Resistant Clients, he presents cutting-edge approaches for managing psychological resistance. He has trained thousands of mental health professionals in the management of difficult, perplexing legal and ethical issues and his latest training is in an exciting, dynamic game show format. He has also been the keynote speaker at conventions and taught hundreds of mental health organizations, businesses, leadership groups, and civic organizations effective techniques for improving communications and for creating change through the precise use of language. 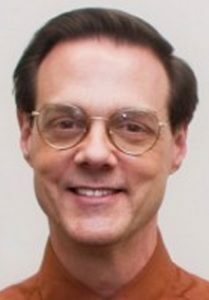 He is a contributing author in therapy books and published in numerous professional journals including the Psychotherapy Networker, Psychotherapy in Australia, Journal of Personality Assessment, Perceptual and Motor Skills, Psychologists’ Desk Reference, Case In Point: Advanced Care Coordination, Favorite Counseling and Therapy Techniques, Psychology and Education, Journal of Psychological Type, The Professional School Counselor, Vistas, and The Advocate. His research includes investigations of therapeutic resistance, legal and ethical issues, subliminal message tapes, stress and coping, and personality types. Dr. Mitchell is currently a professor of counseling at East Tennessee State University in Johnson City, Tennessee, where he received the Teacher of the Year award in 2002.